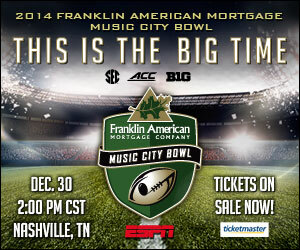 Exciting Rivalry Football in Middle Tennessee! TNYFL Is The Best Youth Football Experience in TN! Watch Our Future Leaders Grow Right Before You! The TNYFL has been formed from a collection of communities that desire to help develop young athletes into junior high and high school athletes with a focus on discipline, technique and proper sportsmanship. Because of our commitment to providing the safest and most responsible environment for teaching and developing these young athletes, we formed this new 501c6 non-profit organization for ages 4-14. Each of our communities work with our local high school coaches to provide the latest in proper technique and safety so that our parents can be confident that their child is in a responsible environment for learning the values and rewards of youth football. In our first three years, we have already become the largest league in middle Tennessee with continued growth in Davidson, Maury, Rutherford, Williamson, and Wilson Counties that project us to exceed 1800 athletes. We hope you share our excitement for this new league and the energy that it has created toward football in Middle Tennessee.